Saturday: (July and August only) 8:30 a.m. – 12:30 p.m. Blood Draw: Tues & Thurs: 7:30 a.m. – 11:00 a.m. In addition to primary care, two of our facilities, the Health Center on Broad Street in Glens Falls and the Warrensburg Health Center provide urgent care seven days a week with some evening hours. These urgent care facilities offer prompt medical care, given without an appointment, for health concerns that arise suddenly but are not life-threatening. Medical imaging (X-ray) services are available on-site. Reserve your spot in line and check current wait times here. 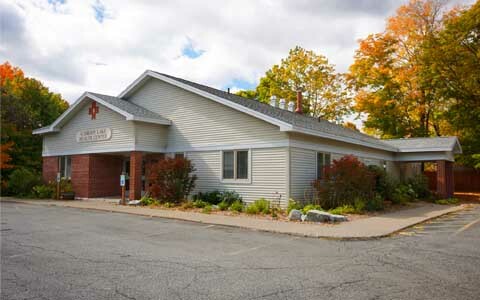 The Schroon Lake Health Center serves people of all ages, and we welcome you to be a part of our family—here or at any of our health center locations.. Our pediatric, adult and family medicine practitioners provide comprehensive primary health care services. A wide array of specialty and ancillary services are also available to Hudson Headwaters patients.